Apple(s aapl) is apparently in the process of setting up iTunes Match (its music library matching and cloud storage service) for international customers. 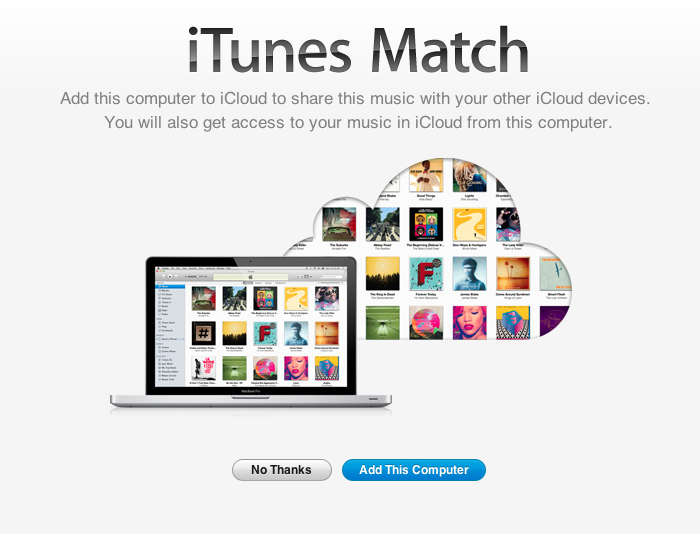 According to reports, users can now access the iTunes Match sign-up page from this direct link. As of this writing, it was working here in Canada, where Match costs $27.99 per year. I managed to sign up for iTunes Match using the link, too, though iTunes prompted me to log out and log back in because something had gone wrong. Upon logging back in and trying the link again, the purchase link was replaced with an “Add this computer” option, but that led to the same error message. 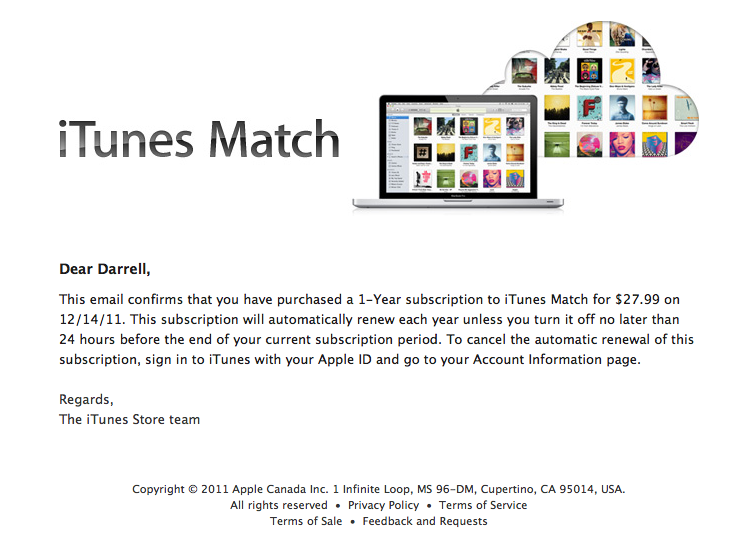 Nevertheless, I received email confirmation that my iTunes Match subscription had indeed gone through, and others are reporting receiving the same. Still, attempts to get the service actually matching and uploading my library haven’t yet been successful, which leads me to believe Apple didn’t yet intend to reveal this to the public. The Match sign-up page is also reported to be live in the U.K., Spain and New Zealand, and other international iTunes stores. Pricing varies by location. If you’ve had any luck signing up or have found the link works for you, let us know in the comments. Same experience here. Price in Australia is btw $34.99. Like a number of other international users, I’ve paid for my subscription through the link but am unable to actually use the service… Looks like I took the bait! I’ve done the same, and now I’m thinking, When the hell will I be able to actually use it?!?! The link works for me, 300 mexican pesos subscription…but since match doesn’t actually work for you (and it doesn’t show up on iTunes for me) I didn’t try to activate it.